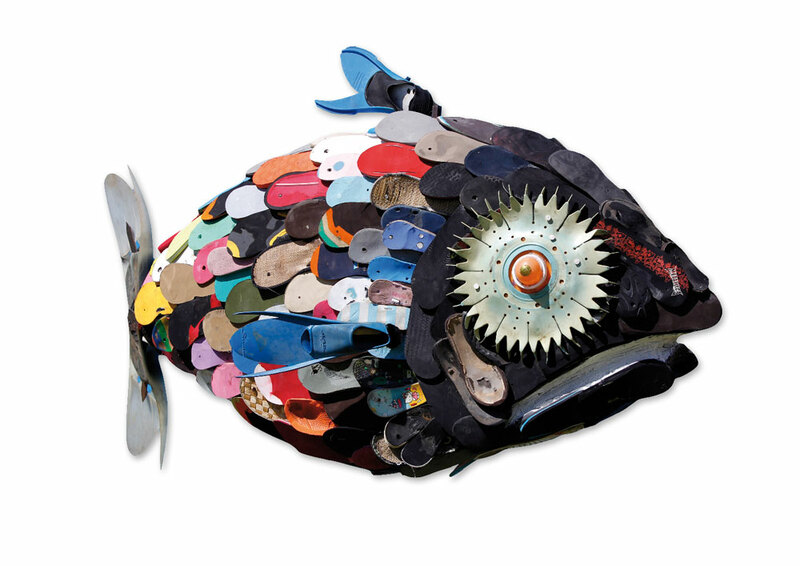 Thanks to the local surf community, more then 200 stranded flip flops were collected from the beaches around Capetown. Xandi and Joao created Miss Flip Flop just before the Volvo Ocean Race 2011 came to Capetown and displayed her at the harbour together with the Last Tuna sculpture. Capetown´s beaches are fairly clean and Xandi said that the locals and specially the surfing community around Capetown are doing a great job cleaning their beaches. Still hundreds of flip flops getting washed onto the shores. Make sure it´s not one of yours.